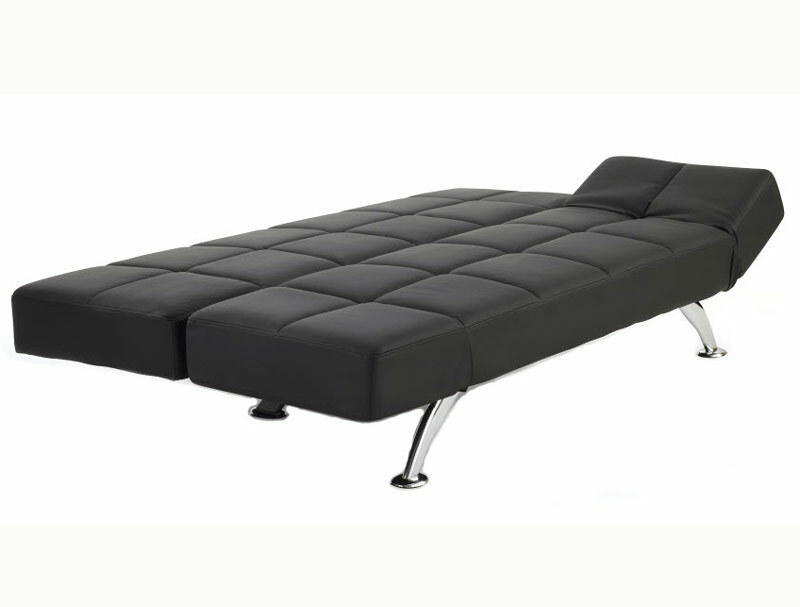 The serene Venice clic clac futon is new and offers a full size small double bed sleeping area when laid flat. 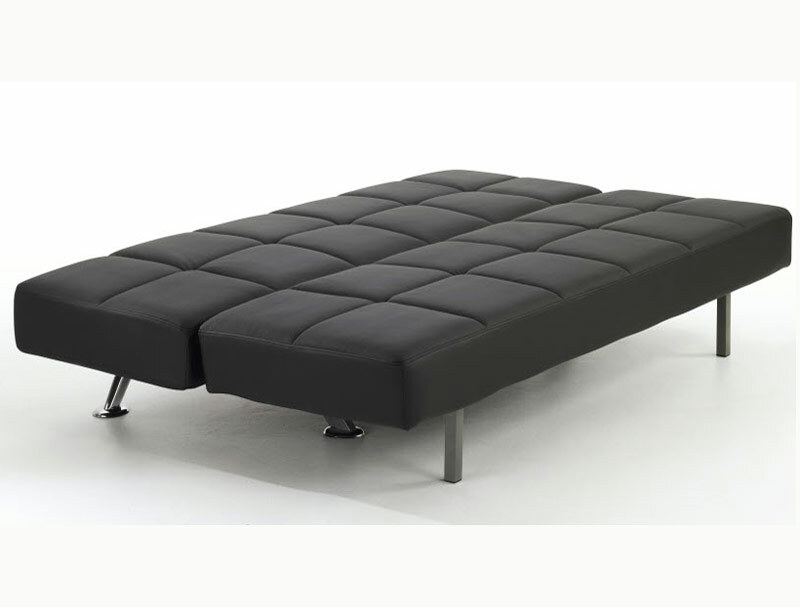 The Venice is a clic clac futon , which means the when the bed is upright in chair position you just need to push head forward until it clicks the drop it down to make the bed. 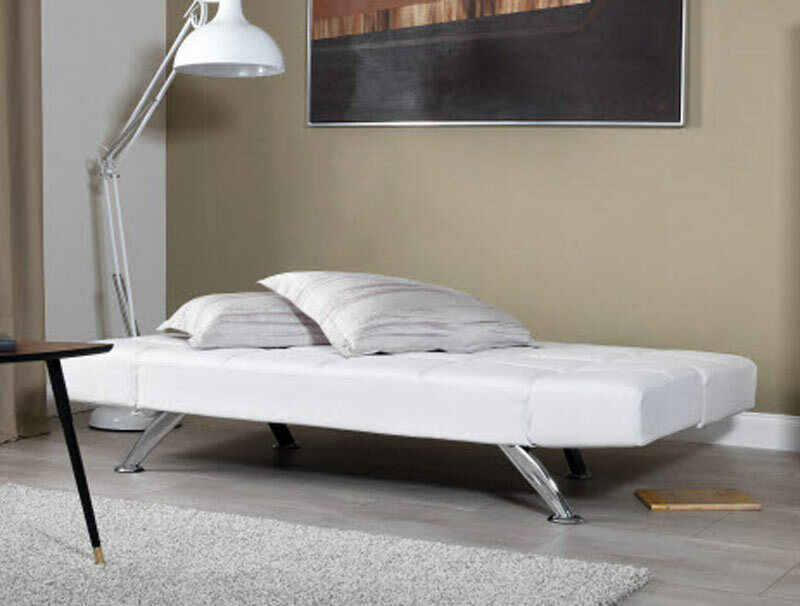 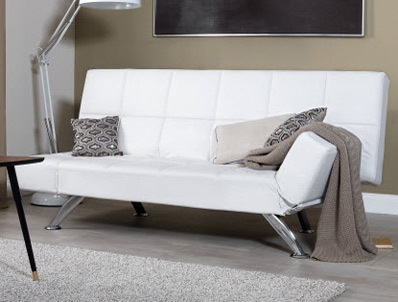 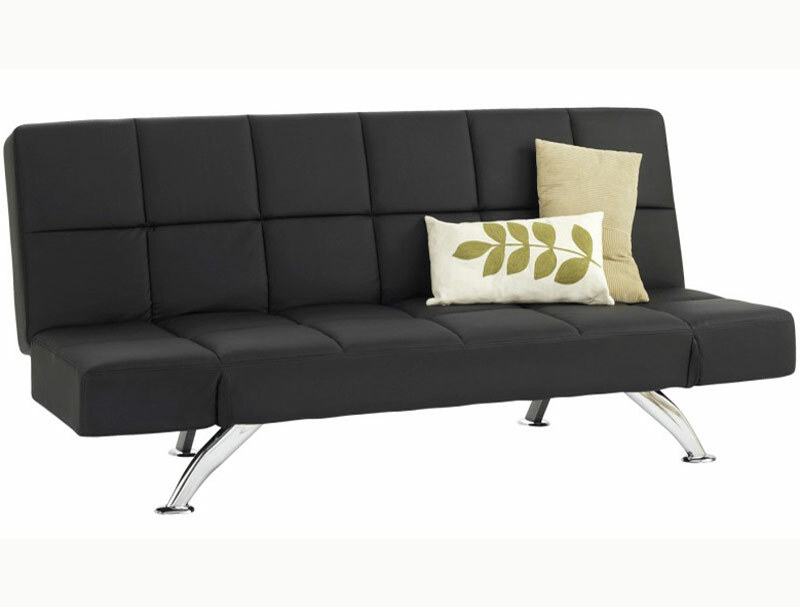 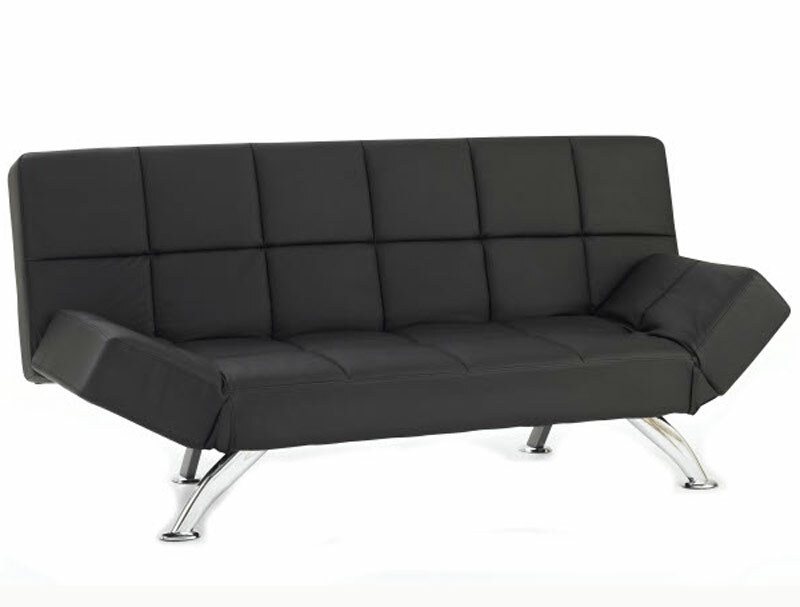 The Venice comes with a modern style chrome leg and in 2 colourways either black or Orchid White Faux Leaather .This Sofa Bed like all Serene bed frames is sent direct from Serene uk warehouse direct to you normally fwithin 3-7 working days depending on postcode area . Please note some postcodes like Ab, Dd, Kw, Iv, PA, PH and FK18 + Serene will not deliver to , so they will need to deliver to us and we will arrange onwards carriage to you on a similar service at a cost of £25 per item.